Coconut Flour Brownies, which could also be called Paleo Brownies or Gluten Free Brownies are a one bowl wonder! 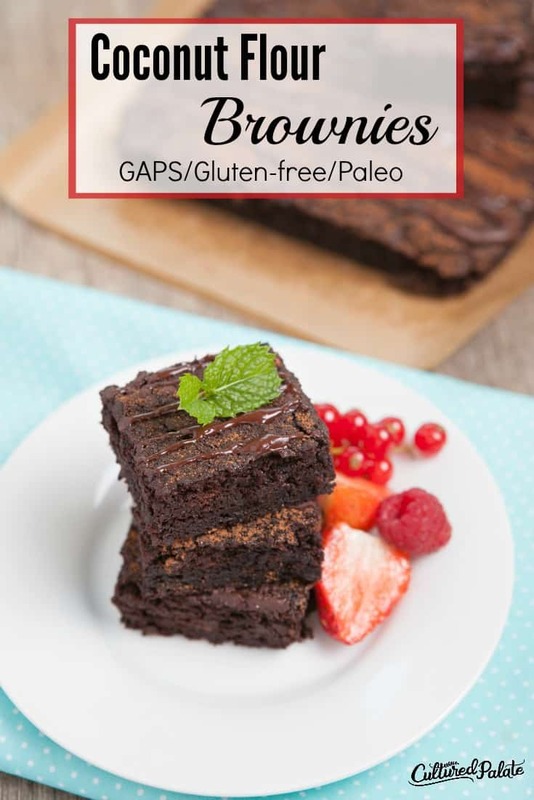 They are a GAPS legal brownie that is easy to make and just plain delicious! For all of you on a no grain diet, finding a delish brownie recipe can be difficult! The texture has to be right. And, then there is the taste. My all time favorite brownie recipe, Never Fail Brownies is a no go! But, these Coconut Flour Brownies are a wonderful substitute! It can be difficult when eating a special diet like the GAPS, paleo or gluten-free diets, especially if you have a sweet tooth. It is easy to feel abused and left out! No more! Now you can indulge and enjoy! Who knew paleo brownies could be so good? For a gluten free brownies recipe, this one is definitely a win-win. It doesn’t fall apart or come up mealy, unlike a lot of GAPS-friendly recipes I’ve tried. In fact, this Coconut Flour Brownies recipe is quick and easy and has not failed me yet. It is absolutely delicious. My family loves it – when I share them. But, to be honest, I tend to be selfish with my brownies and save them for a treat with coffee in the afternoon. OK, to clarify, I have them with my coffee when I wake up from my afternoon nap! Brownies and coffee = the perfect dynamic duo. It is funny, I used to use the little ones as an excuse to take a nap. Now, I just say honestly that mommy needs a nap! Needless to say, when I have a batch of Coconut Flour Brownies, Paleo Brownies or Gluten Free Brownies – whatever name you prefer – to wake up to, waking up from an afternoon nap is much easier! I love recipes that can be mixed up in one bowl and that is exactly what helps make this recipe one of my favorites! Coconut flour is the flour produced from dried coconut meat and is a byproduct of coconut milk production. Just like learning how to crack coconuts takes a bit of effort, so does making your own coconut flour. It is waaaay easier and quicker to buy it. When coconut milk is pressed from coconut meat, small pieces of solid coconut meat are leftover. This coconut meat is then dried (at low temps) and ground to produce flour. Coconut flour is gluten-free and rich in protein – a great alternative to other flours made from grains. It has gained popularity with people who eat diets that limit grains like the Paleo, GAPS, gluten-free and the SCD diets. You can NOT substitute 1:1 coconut flour for wheat flour. Normally substitute 1/4 cup – 1/3 cup coconut flour for each 1 cup of wheat flour. Coconut flour absorbs liquids. This is why you use less coconut flour than wheat flour. Increase the eggs used in a coconut flour recipe. A general rule of thumb is 6 eggs for each 1 cup of wheat flour and increase the liquid used to 1 cup. Blend recipe ingredients well to avoid a heavy texture. You will notice the Coconut Flour Brownie recipe calls ghee or melted butter. I normally use butter but, in strict Paleo, that is not allowed. So, if you are on a strict paleo diet, you can also use coconut oil in place of the butter. Baking with coconut flour is different from other flours so follow the directions as written. After baking, for a special touch, dust with cocoa and even drizzle with some melted chocolate. Using the honey called for in the recipe rather than conventional sugar lends a kind of well-rounded sweetness that sugar just can’t provide. I love using a healthier substitute! The espresso is optional but balances the taste of the cocoa giving a smooth rich tasting brownie. Because frankly, I love the way it acts as a baking ingredient. It’s great for keeping things light and fluffy, and it’s a great option for making gluten free brownies. Coconut flour also contains protein, which is a nice little perk for baking up desserts. Who doesn’t want a dessert with a little bit of protein snuck in? 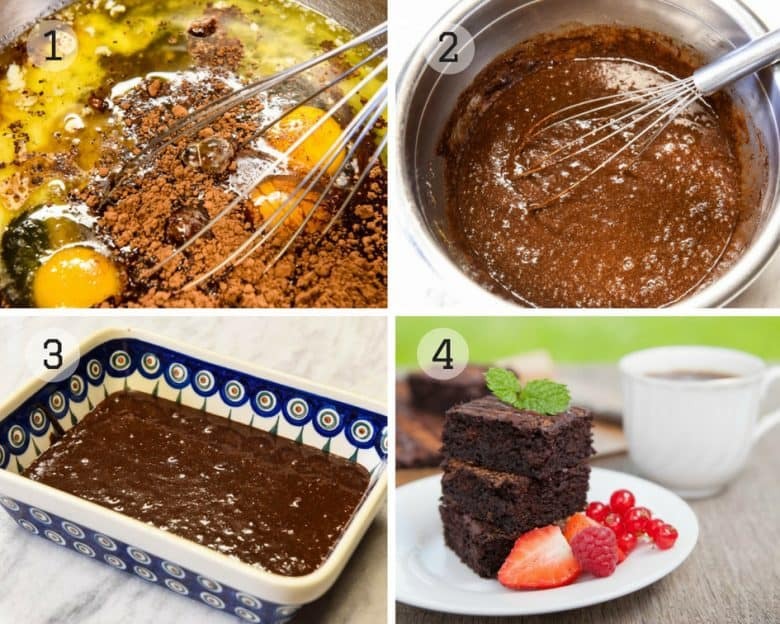 You will only need one bowl to mix the recipe up, no special ingredients are needed, the recipe is easy, and the brownies taste delicious – this is definitely a win-win-win recipe! And if I may say so, it’s simple enough to even cook with little ones. Maybe multiple naps can be ended with brownies, huh? 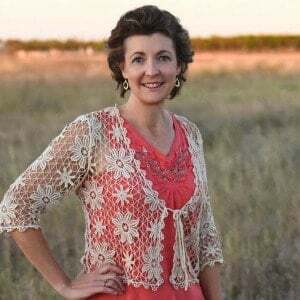 Leave a comment and let me know if you ever take naps (especially when the kids are napping, too!). If you’ve tried these Coconut Flour Brownies or any other recipe on Cultured Palate please take a minute to rate the recipe and leave a comment letting me know how you liked it. I love hearing from you! You can also FOLLOW ME on PINTEREST, FACEBOOK, INSTAGRAM, YouTube and TWITTER. These brownies could also be called gluten free brownies or paleo brownies. Whatever name you want to use, they are easy and delicious! Preheat oven to 350 F. Grease 9 x 9 baking dish. Mix all ingredients together with whisk or hand mixer. Bake for 30 - 35 minutes - until a knife inserted comes out clean. For Paleo without dairy - substitute coconut oil for ghee or butter. The espresso is optional but adds a delicious smoothness to the chocolaty flavor. Try dusting the top with cocoa or drizzle with chocolate - it adds a special touch! 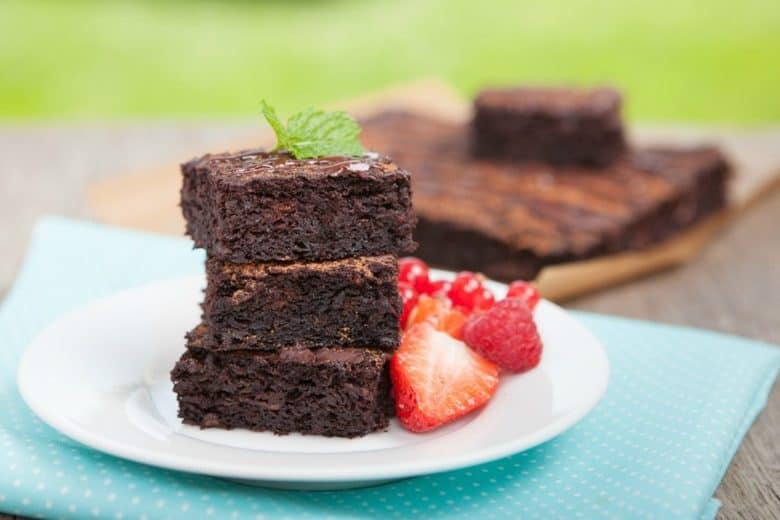 Coconut Flour Brownies, Paleo Brownies or Gluten Free Brownies – which name do you prefer? Leave a comment! Do you think I could substitute apple sauce for the butter? Alice, I think it would be worth trying and if you do, please let me know how it works. Raia, so glad you think so too – yes, definitely a healthy breakfast! Am I using brewed espresso or powder? Lynne, I use brewed espresso but the powder will work too. Enjoy! Made these today with rice malt syrup as the sweetener, no coffee. Yum. Thanks for sharing. Pauline, so glad you liked them and I love your sweetener change! Coconut flour for the win! These look perfectly fluffy and I’m with you… I’d absolutely enjoy these with my afternoon coffee! Christina, we are kindred spirits! This was my first time baking with coconut flour and these were GOOD. I modified the recipe very slightly, using 1 cup sugar in place of the honey and swapping 1/4 of the butter for nonfat yogurt. I would tell anyone looking for a “chewy” brownie, that this is not that. This recipe gives you a dense, CAKEY brownie. The rich chocolate flavor is 10/10. Marissa, I am so glad you enjoyed them! And, I love that you added some yogurt to it – great idea! Claire, I love you addition – thanks for taking the time to share!